Can I get Coaching Sessions online or on the phone? The Course tuition is $3300 + hst, and includes a full membership to the Studio from the moment you register by paying a $500 non refundable deposit until the end of the course. Sign up before February 4th 2019 and get a $300 discount. 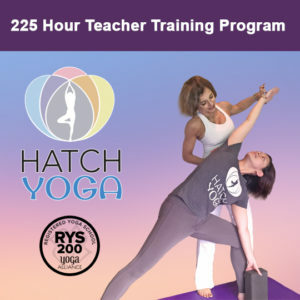 Contact sabina@hatchyoga.com and to schedule a free intake appointement at a time convenient for you. Payment plan is at follows. Monthly autorenewable 12 Month Contract only $89.00 per month Unlimited classes. Try unlimited classes for a month for only $30! We have over 45 classes a week to choose from, why not try them all!